Brian Culshaw graduated from University College London with a BSc in Physics and thereafter a PhD in Electronic and Electrical Engineering, specialising in microwave semiconductors, completed in 1969. He spent 1970 in the US as a post-doc at Cornell, joining the staff of Bell Northern Research (now Nortel) immediately afterwards and evolving into microwave system design, especially for long haul transmission. He returned to UCL after three years in Ottawa joining the academic staff at UCL in 1975 thereafter developing an interest in fibre optics for sensing and measurement. With many co-workers, he produced some basic results in the use of phase modulation in sensors and the interferometric architectures to demodulate them. A sabbatical year with John Shaw at Stanford in 1982 gave an opportunity to contribute to basic research in fibre gyros. These interests in fibre sensing evolved into applications in ultrasonics, NDE, smart structures, advanced materials technologies, environmental sensing and MEMS. He has founded or co founded three small companies and currently serves as a director of the two survivors! 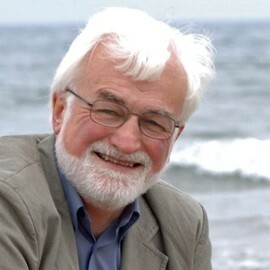 He moved to Strathclyde University in Glasgow, where he is currently professor emeritus, in 1983 as professor of optoelectronics, and since then has also become involved in a number of professional activities including multi partner national and international research project management, conference organisation and journal editing. His work with professional societies includes serving as President of SPIE during 2007. At Strathclyde, he served six years as vice Dean (Engineering) and completed a five year term as Head of Department.